What can I say but this on is another winner from Lisa Gardner. I always look forward to her books knowing that I'm going to be on the edge of my seat and trying to figure out the mystery! I really loved going back to visit Quincy and Rainie, they are some of my favorite people! 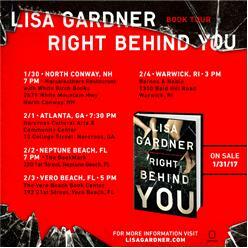 If you haven't checked out Lisa Gardner, this one can be read as a standalone. While you won't have the background on Quincy & Rainie, you will still enjoy this suspense! 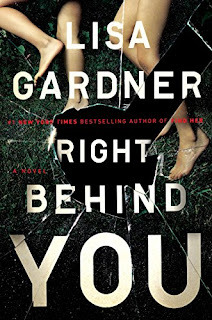 New York Times #1 bestselling crime novelist Lisa Gardner began her career in food service, but after catching her hair on fire numerous times, she took the hint and focused on writing instead. A self-described research junkie, she has parlayed her interest in police procedure, cutting edge forensics and twisted plots into a streak of 17 bestselling suspense novels, including her most recent release, FIND HER. Readers are invited to get in on the fun by entering the annual "Kill a Friend, Maim a Mate" Sweepstakes, where they can nominate the person of their choice to die in Lisa's latest novel. Every year, one Lucky Stiff is selected for Literary Immortality. It's cheaper than therapy, and you get a great book besides. For more details, simply visit Lisa's website. Lisa lives in New England with her family, as well as two highly spoiled dogs.